More restaurant consumers are turning to social media to make their dining experiences more convenient. Opened in early 2012, TableTents.com provides web applications for the food and beverage industry, allowing businesses to reach their customers through social media. TableTents.com works with Facebook, Twitter, and traditional websites to provide its customers with an online brand that saves time and generates revenue. According to the National Restaurant Association 2011 Industry Forecast “frequent restaurant customers are more likely than the general public to use the Internet for restaurant purposes, in particular to make their restaurant patronage more convenient." Albuquerque-based company TableTents.com, which opened its doors in January 2012, develops web applications designed specifically for the food and beverage industry. This allows businesses to add consistency to their online marketing, while engaging customers on the platforms they prefer. Table Tents for Facebook provides customers with the features of a traditional website, while utilizing one of the webs most popular platforms. Businesses can update menus, promote special events, and even receive feedback about their customers dining experiences. TableTents.com also designs custom websites with unlimited pages offering dynamic menus, events calendars, and more. In addition, Table Tents Deals lets companies reward their loyal customers by offering promotions on both Table Tents for Facebook and Table Tents for Web. 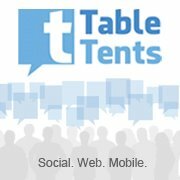 The TableTents.com Personal Assistant feature also lets businesses manage their social media presence from one simple location, including updates to Facebook, Twitter, Table Tents for Web, Table Tents Deals and Google+, while also providing world class customer support. Businesses interested in learning more about maximizing their online presence can try TableTents.com Lite for free at http://www.tabletents.com.